With no Republican opponent, Ayanna Pressley is a virtual lock to become the state's first black woman elected to Congress. 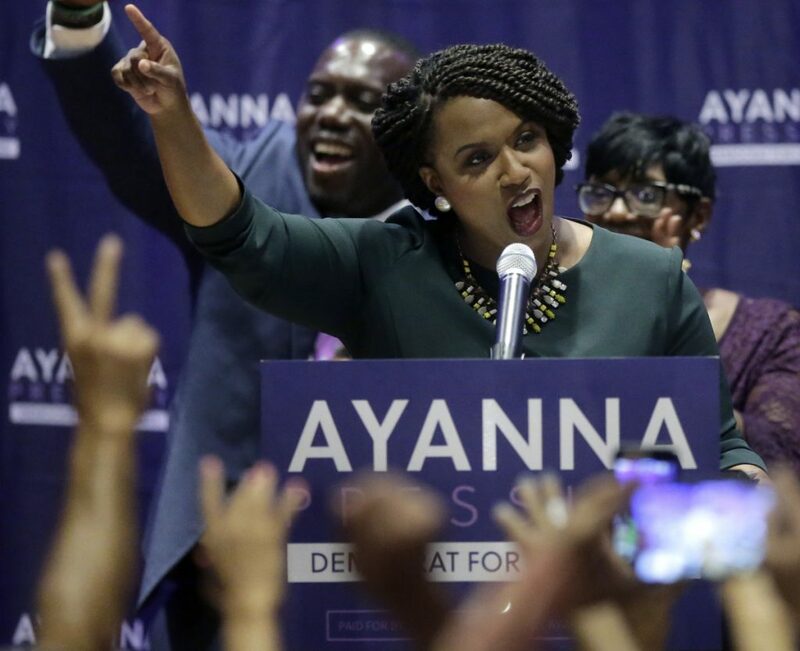 BOSTON — Boston City Councilor Ayanna Pressley stunned fellow Democrats by defeating incumbent U.S. Rep. Michael Capuano in a closely watched Massachusetts primary battle Tuesday. Pressley is virtually assured of becoming the first black woman elected to Congress from Massachusetts in November, and her victory gives Democrats’ progressive wing another win in their effort to pull the party leftward. There are no Republican candidates running for the seat. “But change can’t wait,” she added. Capuano told supporters he did everything he could to win re-election. The race drew national attention because it was seen by some as a possible indication of deeper generational and philosophical shifts within the Democratic Party, led by younger candidates who take more liberal positions on issues ranging from universal health care to immigration enforcement. When Massachusetts lawmakers drew new House districts after the last federal census, they tapped the 7th District to be the first in Massachusetts where minorities make up a majority of the voting population. During the campaign, the 44-year-old Pressley acknowledged she would likely vote the same way as Capuano on most issues, but argued she would be a different kind of political leader for the district and the state. The 66-year-old Capuano, who is white, said he always worked on behalf of everyone in the district, which includes parts of Boston, Cambridge, Somerville and other communities. A former Somerville mayor, Capuano relied in part on voters who have supported him for decades while also trying to reach out to newer voters. Both candidates also banked on deep voter anger with Trump.